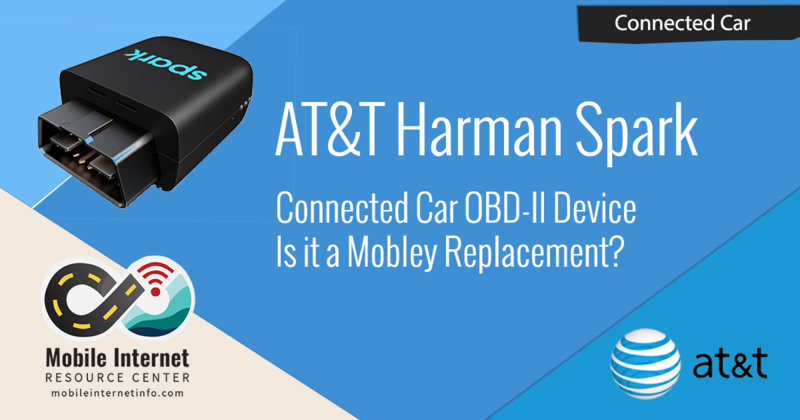 AT&T Spark Connected Car OBD-II Device by Harman – Is It a Mobley Replacement? AT&T announced today the launch of the brand new Harman Spark ($79.99) device to turn your car into an advanced connected car device. The device will be available later this week. This is an exciting addition to the Connected Car space, enabling telematics for emergency assistance, fleet management, theft, tracking and more. These devices plug into the onboard diagnostic ports (OBD-II) of 1996 and newer model year vehicles that don't have built-in systems like OnStar. The Spark also brings with it an LTE cellular modem to enable Wi-Fi hotspot access for up to 8 devices. And that's what we focus on here. Busy? Just want a quick wrap-up? 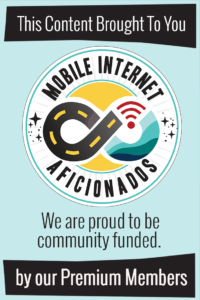 September 28, 2018 Update: $30 Unlimited Plan Available! The Spark has been released on AT&T's website, and they have brought back a $30/month unlimited data plan that can be purchased stand alone from other AT&T lines of service. 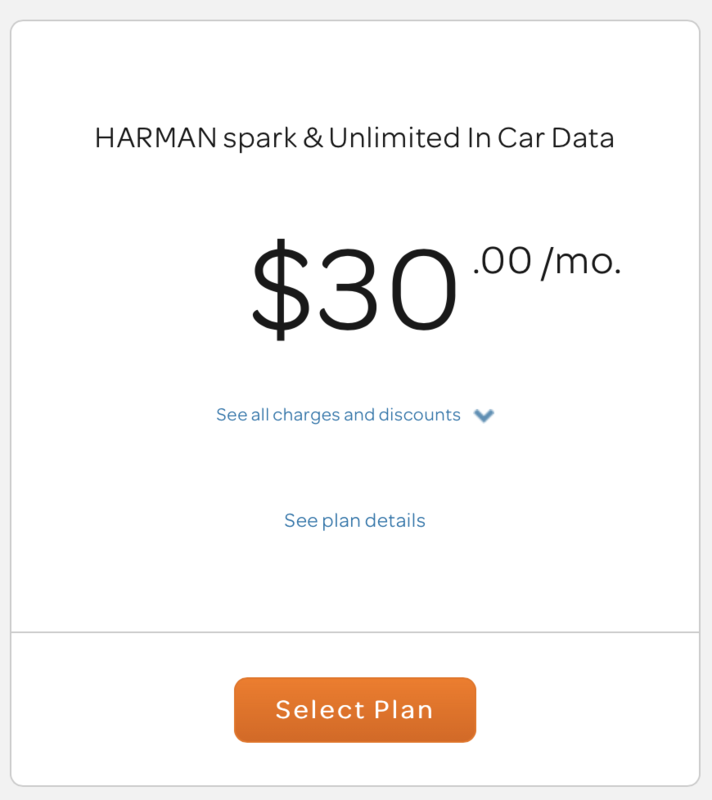 HARMAN spark Plan promotion: Promotion ends 1/7/2019. 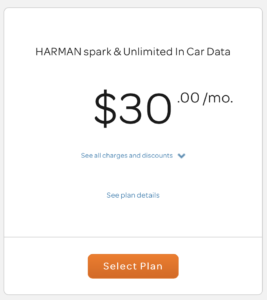 HARMAN spark & Unlimited In Car Data: Requires HARMAN spark device and mobile app. Eligibility: Requires an eligible vehicle (compatible with most vehicles 1996 and newer). Device restrictions: For in-car use only. Telematics required. AT&T reserves the right to terminate service if the device is plugged into anything other than the vehicle. Subject to the Wireless Customer Agreement found at att.com/wca. If AT&T does not enforce any of the terms or restrictions of its service oﬀerings, it’s not a waiver of AT&T’s right to enforce those terms or restrictions. 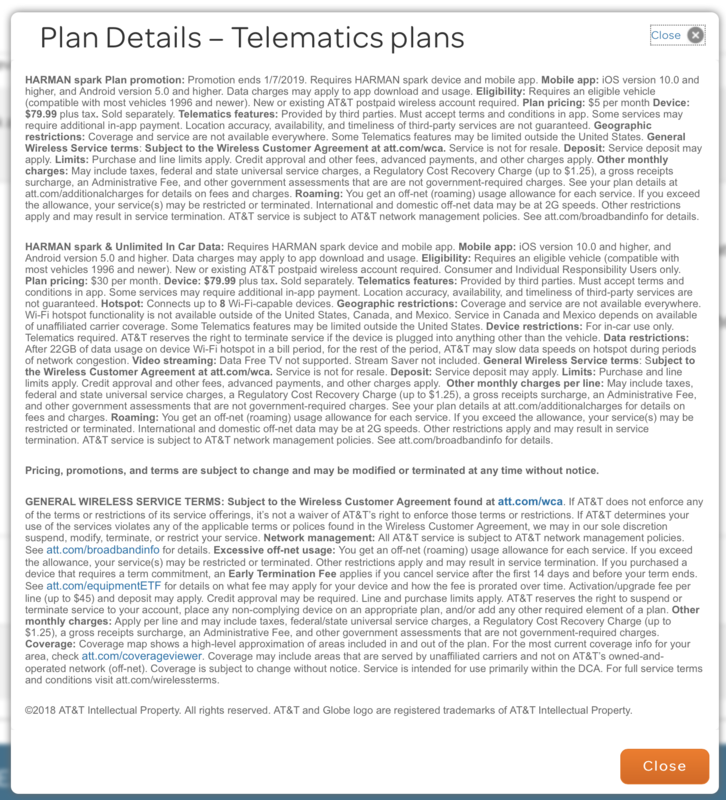 If AT&T determines your use of the services violates any of the applicable terms or polices found in the Wireless Customer Agreement, we may in our sole discretion suspend, modify, terminate, or restrict your service. Also keep in mind that the device itself is documented to not operate as a Wi-Fi hotspot after it's been stationary for 30 minutes (see below). 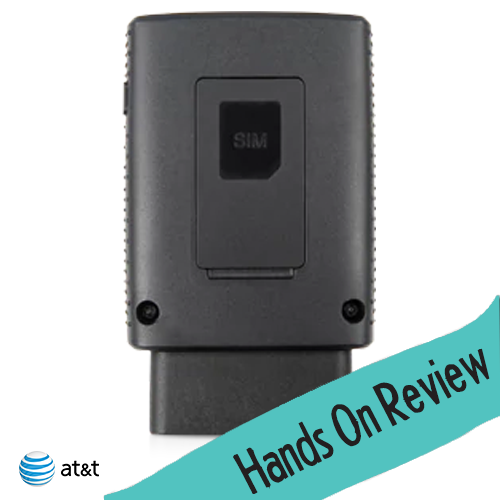 We also found we could add this device to our retired AT&T Unlimited Plus plan as a new line of service, but the Spark would not activate under Unlimited Plus and could only be activated under the Connected Car plan. If anyone is thinking of ordering one to experiment with ways to use it NOT as intended (ie. in the OBD-II port of a vehicle), we highly recommend avoiding 2-year contract options. With the TOS stated as they are, you don't want to be caught with any early termination fees when/if terminated. A big story we covered last year was the AT&T Connected Car Unlimited data plan available for $20/month as a stand-alone plan, and able to activated on the similarly sounding ZTE Mobley. The option to activate new aftermarket OBD-II devices on the plan retired this time last year (but with some sporadic activations reported), however, vehicles with built-in systems like OnStar can still obtain the plan even today. 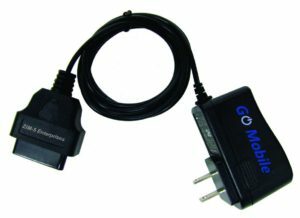 But the feature that popularized the otherwise minimally capable cellular modem of the Mobley was the ability to power the device with an aftermarket power adapter, allowing you to use the hotspot and unlimited data plan off 12v, 110 or even USB. OBD-II power adapters allow the Mobley to be used outside a vehicle. This became last year's top pick data plan for RVers and cruisers. 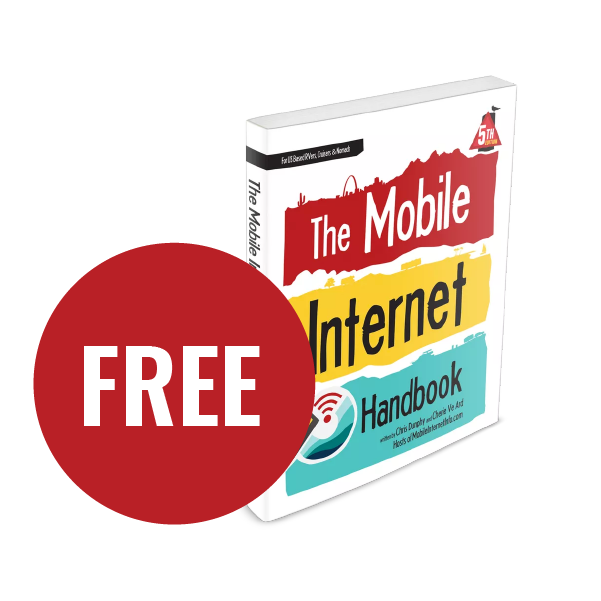 Cheap unlimited data, just subject to network management. 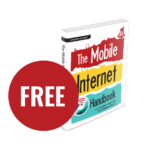 The Mobley device, however, disappeared earlier this year from AT&T's website, leaving many protecting their sweet $20/month plans fearful of what happens if their Mobley becomes damaged, or simply quits working. And of course, there are many who missed the eight-month window last year who would love to obtain such a plan for themselves. So, Is this a Mobley Replacement? If you're looking for an OBD-II device for tracking your vehicle and providing in motion internet access to passengers - then yes, this new device may be just what you're looking for. But if you're looking for a way to get an unlimited data plan that you can use while parked, we're afraid that doesn't appear to be a realistic option with this new device. While the device is not yet released, we've been digging into available information including documents submitted for FCC approval to try to find out more. Rate plans start at just $5 per month for plans without Wi-Fi.2 Plans including Wi-Fi are offered as both standalone or as an addition to eligible Unlimited and Mobile Share plans. From the information we've collected, it appears that some telematics features will be an added cost above the cost for WiFi access. For shared data plans, currently, AT&T offers Mobile Share Flex data plans for aftermarket OBD-II devices. There is a $10 access fee per connected car device, in addition to the prices listed below. AT&T also offers a pay-as-you-go DataConnect option for a stand alone option, with 1GB for $15 or 7GB for $50. But what stands out in this statement is the mention of 'eligible Unlimited' data plans. 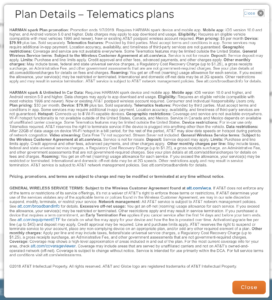 When AT&T retired the Unlimited Plus plans back in February and replaced them with Unlimited Enhanced, they very specifically only made these plans available to smartphones, tablets and built-in connected cars (ie. OnStar). 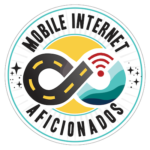 So we're curious to learn if the press release eludes to the possible availability of unlimited data plans for aftermarket Connected Car devices coming back. We'll update once we know more. The real question however is, will the Spark function like the Mobley as an unlimited hotspot device for RVers, cruisers, and even households? Because the Mobley is somewhat of a dumb device, it wasn't even aware if it was in a vehicle port or power adapter - and just works when powered. It seems AT&T learned from the experience and worked with Harman to make the device more limited to just in motion vehicle use. The Telematics req'd portion in particular eludes to the possibility that the Spark will need to check in with the vehicle to enable the hotspot device. 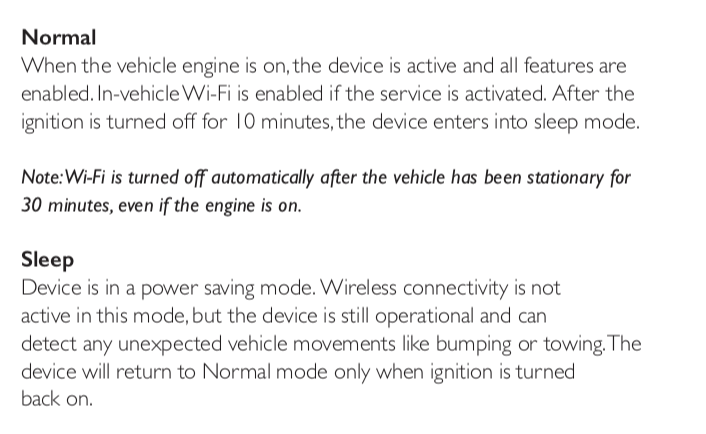 This would mean the Spark functions more like Verizon's HumX than the Mobley - in that it might not work if not in the OBD-II port of the assigned vehicle. Additionally, the device must be plugged into an OBD-II port to be activated - another indication that it was designed to be limited to in-car use only. But even if the device works when powered by an adapter, AT&T is being very clear with their terms of service that the plan is subject to termination if not plugged into a vehicle. This seems to rule out the Spark being a Mobley replacement as a stand alone hotspot device powered by anything other than the OBD-II port. But what about using your vehicle as a hotspot while sitting in your RV? Or what about Class B and C RVs that do have an OBD-II port. Can you use the Spark's Wi-Fi hotspot when not in motion? It seems, for a little bit you may. Basically, even with the ignition power on - the Spark's Wi-Fi hotspot will turn off after 30 minutes of being in the same location. While many Mobley users and those who missed out on the original deal have been awaiting a Mobley-replacement - we have confirmed the Spark is not. If you're looking for onboard diagnostics, theft prevention & tracking and emergency assistance - this device may fit the bill. 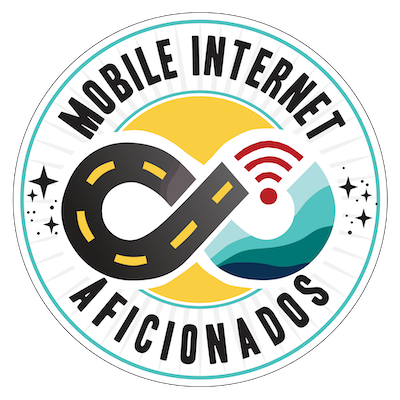 And if you're looking to augment your mobile internet connectivity - if unlimited data plans become available, this may be a new option for unlimited data while in motion. However, it does seem that Connected Car options are making a comeback - especially with the new partnership between AT&T and Airstream offering an unlimited data plan for $360/year.